Dr. Valorie Crooks is a Professor in the Department of Geography at Simon Fraser University (BC, Canada). 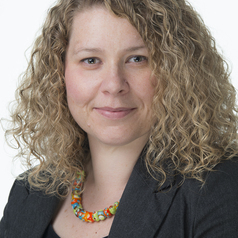 She is a health geographer by training, having completed her PhD at McMaster University in 2005, and holds the Canada Research Chair in Health Service Geographies. She also holds a Scholar Award from the Michael Smith Foundation for Health Research. Valorie is founding editor of the Global Perspectives on Health Geography book series published by Springer and is lead editor of the forthcoming Routledge Handbook of Health Geography. Much of Valorie's recent research examines the equity and ethical issues associated with untracked, untraced, and unregulated global health care mobilities. These mobilities include medical tourism and offshore medical schools. Her research has taken her to many countries to observe these mobilities first-hand, including throughout the Anglophone Caribbean.